I have fond memories of my dad putting out the flag for all those flag holidays. I associate the smell of fresh cut grass with the flag...weird, I know. I think my dad would always mow the lawn and then hang the flag. I don't have a place to hang a flag by my front door. I don't think my landlord would be happy with me drilling into the stucco. 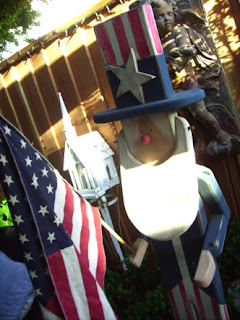 So, I just put out my Uncle Sam my dad made me about 10 years ago. I usually put him out for Memorial Day weekend and leave him out there until after Labor Day. Last weekend I took him out of storage and put him in my backyard. He's awaiting his grand entrance to the front this Saturday. 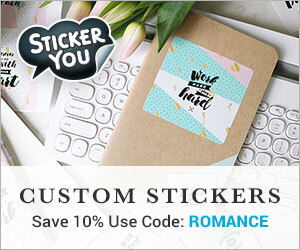 NOTE: I HATE this new auto save that blogger now has. I was trying to delete an extra space between my paragraphs and I deleted the whole paragraph and 3 photos by mistake. Then blogger auto saved that and I lost my original draft. Ughhhh, I was mad! I know what you mean about the auto save. Same thing happened to me yesterday! 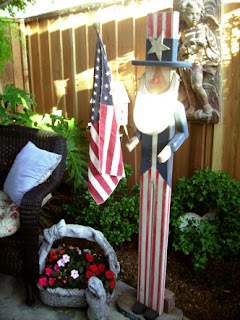 Love your Uncle Sam - your dad is one talented man! He's wonderful!!! What a neat decoration for the summer, and extra special because your daddy made it! I don't think that your memory-association with cut grass is strange at all...I still associate that smell with fun Saturday afternoons (I'm sure my daddy didn't think it was quite as fun, having to cut the grass), after which he would get cleaned up and we would get pizza for a family dinner. 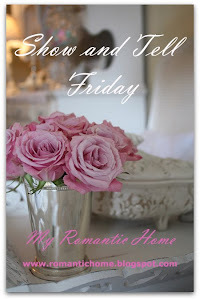 I really do love your display! How nice to have such a talented dad! I love your Uncle Sam. What a wonderful Uncle Sam! He is so very special in so many ways! I love the sound of mowers and the smell of the cut grass. They mean Summer is here! Nice memory! I also loved your tablescape in the last post...gorgeous as always. Thank you for the heads up about Victoria! 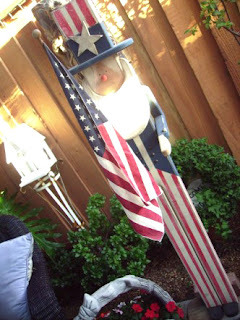 I love decorating for Memorial Day, Independence Day and Labor Day too. I will have to dig out my patriot decor tonight. Thanks for the reminder that it's this weekend! What a cool Uncle Sam your Dad made for you. It looks very well maintained. 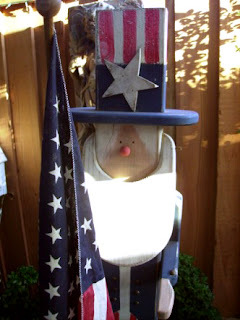 Your idea of decorating now for Memorial Day and leaving it up through the 4th is a good idea. Why didn't I think of that? 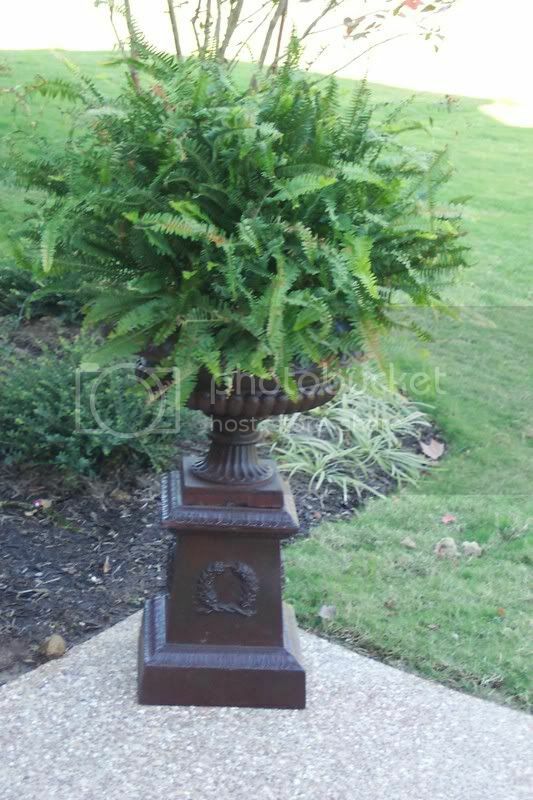 What a great yard piece, made all the more special as it was made by your Dad. Very cool looking Uncle Sam. I hope you have a terrific long weekend!